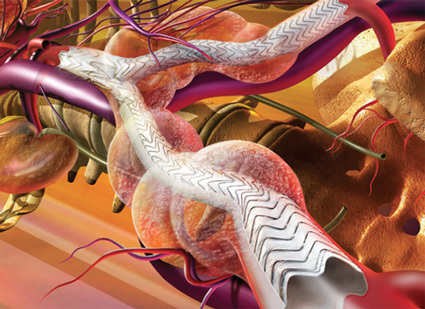 The University Of Tennessee Graduate School of Medicine Vascular Fellowship Program is a two-year training program that provides vascular fellows a broad comprehensive experience in all aspects of care for those afflicted with vascular disease. Established 25 years ago, the program has alumni practicing throughout the United States with one third of the graduates active members of academic surgical training programs. The overall first attempt pass rate for both the qualifying and certifying exam is 100% for our graduating fellows over the past five years. The achievements of the program are directly attributable to the dedicated core faculty who are committed to the success of the program as well as the vascular fellows. With all patient care occurring on the campus of the University of Tennessee Medical Center (UTMC), the vascular program provides the vascular fellow a high volume of open surgical and endovascular experience during their fellowship. With ancillary support provided by general surgery interns/ residents and mid-level providers, the vascular surgical services train the vascular fellow to be a leader of an efficient patient care team. Moreover, the division's basic science research laboratory led by a full time PhD provides the vascular fellow experience in vascular wall biology and vascular translational research.. Finally, the ability to be an active participant in the division's non-invasive vascular laboratory as well as interact with the radiology department residents and faculty provides the vascular fellow an excellent experience in learning and interpreting vascular diagnostic testing. The first year of the vascular surgery fellowship program is spent learning noninvasive vascular imaging, conducting research in the basic science vascular laboratory, rotating on the clinical vascular services, dedicated clinic rotation, as well as learning endovascular skills. The fellow will spend one month in the noninvasive vascular laboratory learning interpretive skills of noninvasive vascular imaging as well as hands on performance of noninvasive vascular studies. One month is spent in the Vascular Research Laboratory, which conducts research in vascular wall biology and translational research. Five months are spent on an endovascular rotation learning diagnostic arteriogram skills as well as endovascular therapy. Five months rotating through the clinical service also occurs in the first year of training. During the second year, the vascular fellow rotates between the clinical vascular services during which the fellow will see a wide spectrum of vascular diseases under the direction of six board certified vascular attendings. Inpatient, outpatient, and operative care are under the direction of the vascular fellow with close supervision by the attendings. The fellow can be expected to finish with over 300 major vascular cases and over 400 arteriograms and endovascular therapeutic procedures. In addition to the clinical responsibilities, there is a weekly Vascular Conference, Morbidity and Mortality Conference, Performance Improvement Conference and Research Conference. At the end of the clinical year of the vascular surgery fellowship, the fellow is expected to obtain sufficient preoperative, intraoperative, and postoperative experience to care for patients with peripheral arterial, venous, abdominal, visceral artery, renal artery, thoracic aortic, cerebrovascular and lymphatic disease. It is expected that the resident will take both the certifying and qualifying exam of the American Board of Surgery and pass the RPVI exam. All applicants should submit through Electronic Residency Application Service (ERAS). Our fellowship program is listed as "University of Tennessee Medical Center at Knoxville" and our program ID is: 4504721075. After the resident has submitted this information through ERAS, the completed application will be reviewed by the Pre-Selection Committee. Interviews for invited residents will take place between February and April. The Aortic Center at The University of Tennessee Medical Center is a regional referral center designed to provide easy and timely access for the evaluation and treatment of aortic aneurysm sand other abnormalities of the aorta. The center combines unique resources with experienced specialists that provide compassionate care to patients. Our team of surgeons and clinical staff work closely together to ensure the best possible treatment for patients. As the region's preferred hospital for the treatment of aortic disorders, the Center strives to set the standard for quality care.The Aortic Center provides unsurpassed leadership in the care of patients with aneurismal disease and trauma.